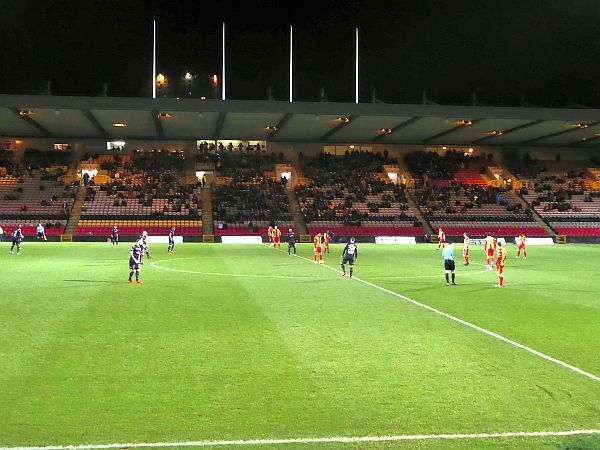 Motherwell travel to Maryhill on Tuesday eager to make amends for Saturday’s dismal display but they will face a Partick Thistle side fighting for survival as the league campaign enters the final week. It is hard to image that Stephen Robinson’s side will not show an improvement from the poor form that led to the 5-1 home defeat at the hands of St Johnstone. The need to boost morale ahead of next week’s cup final will mandate that he selects a team capable of lifting the spirits of the travelling fans. The return of Kipré and Tait will bolster our defence while a starting place for Bowman in place of Ciftci would produce a more confident forward line. Whatever the selection the players know that they let their standards slip and they must make the best of this early opportunity to get back on track. Partick Thistle, in eleventh place, are two points clear of Ross County but three behind Hamilton. We know the uncertainty and fear that comes with the play-off spot and the reaction that fear of relegation can produce. They are undefeated in the post-split fixtures so far with a win over Hamilton and draws with St Johnstone and Ross County. Erskine, Sammon, Doohlan and Edwards got the goals in those games and, backed the big home crowd that typically emerges when a team is in danger, they will be keen for more. The bookies all favour a home win but a steely defence and a restored attack may be enough for us to burst the Jags bubble with a 1-1 draw. Remember our last trip to Firhill?